Guernsey's chief minister has warned UK MPs that amendments to the Financial Services Bill are based on "misperceptions" over financial transparency. The bill was pulled by the government on Monday, but will return to the House Commons before Britain is due to leave the European Union. The amendments seek to force the islands to make company ownership information public, bringing the Crown Dependencies of Guernsey, Jersey and the Isle of Man in line with the UK and its Overseas Territories. UK House of Commons Speaker John Bercow said one of the amendments to the Financial Services Bill lodged by Tory MP Andrew Mitchell was "entirely proper"Image caption: UK House of Commons Speaker John Bercow said one of the amendments to the Financial Services Bill lodged by Tory MP Andrew Mitchell was "entirely proper"
In the letter, Deputy Gavin St Pier writes the amendments are "based on common misperceptions about registers of beneficial ownership and transparency". There was no evidence public registers of ultimate business owners, such as the UK's, were any more effective than Guernsey's private model of fighting financial crime, Deputy St Pier wrote. He also branded the attempt to legislate "without our consent" as going against a "centuries-held constitutional rule". Backers of the amendment argued tackling anonymous offshore companies was an important tool in the fight against money laundering, tax avoidance and tax evasion. Such companies feature heavily in offshore leaks such as the Paradise and Panama Papers. Jersey Met says winds of force seven can be expected. A mainly dry start to Wednesday. It will then be a breezy day with some sunny spells, but also showers pushing in from the west. The showers could be heavy with the risk of hail and thunder. Maximum temperature: 9 to 12C (48 to 54F). More needs to be done to improve Guernsey's tourism offering, the politician responsible for the industry has conceded. It is after a damning independent report found the island's tourism product was "stale, shabby and out of date." The PwC report found the number of visitors was unlikely to grow, partly due to poor connectivity to the island. Deputy Dawn Tindall said: "It's not good. It was produced in 2017, at the instructions of the previous committee, which I wasn't on. "But even so, there's no holds barred there and clearly identifies a lot to do." Lord Alf Dubs, who came to Britain as a child refugee fleeing Nazi persecution, will visit Jersey later this month. He will be trying to persuade the island to accept child refugees from countries affected by war. It's hoped his speech at Hautlieu School on 21 March will allay fears adults posing as child refugees could enter Jersey, the local charity hosting him says. Beth Gallichan, from the Jersey Cares Refugee Aid Group, said "innocent" children caught up conflict deserved to be helped. "Just being able to be compassionate as an island, and potentially look at a small number of appropriate children is the correct way to be thinking," she said. Jersey's government - along with Guernsey and the Isle of Man - have consistently said they would not accept refugees as part of the UK's Vulnerable Persons Relocation scheme, citing legal hurdles. They also pointed to the "life-saving humanitarian aid" they funded. A decision is also expected soon on whether correspondence between the islands on the matter of taking Syrian Refugees should be made public. The Chief Minister says proposals to make the owners of company assets public are "unworkable". Blue Islands has added 5,000 additional seats on its Bristol services this summer. The airline will operate a further 76 flights between the Channel Islands and the city during the summer months. Blue Islands CEO Rob Veron says the service is ideal for "weekend travel". Jersey police has asked businesses to leave the Rue des Pres trading estate while they investigate a suspected gas leak. It's after someone reported a smell of gas in the area. They're asking drivers to avoid the area and the estate remains closed. The fire service and Jersey Gas are there. Jersey's chief minister says the island cannot be complacent about the way the UK treats the finance industry, despite UK MPs dropping moves to force the island to change its laws. Parliament was due to consider forcing Crown Dependencies to make public lists of who owns companies registered with them. The dependencies insist the move is unconstitutional as the UK did not "legislate for the Crown Dependencies on domestic matters without our consent". But just before the debate was due to start on Monday, it was called off. Quote Message: We actually have a very good system, one that is properly verified and works. We are very clear that ours is a verified database and that it is accessible by law enforcement agencies but maintains privacy." We actually have a very good system, one that is properly verified and works. We are very clear that ours is a verified database and that it is accessible by law enforcement agencies but maintains privacy." However, he also said that relationships with the UK remained "very good", saying that the actions of a small group of backbenchers would not disrupt the relationship between the Crown Dependencies and the UK. The average Jersey household can expect annual bills to increase by almost £50 from next month, with both Jersey Water and the Jersey Electricity Company due to put up their prices. Electricity bills will increase by 3.5% from April, Jersey Electricity CEO Chris Ambler confirmed on Monday, saying the rise was "inevitable" following a fall in foreign exchange rates and other inflationary pressures. Water bills will rise by 3.8% at the same time. However, both utilities said that the hikes were below inflation. 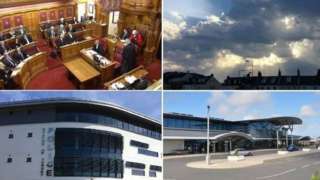 Guernsey could face "a constitutional crisis" if the States cannot change the minds of a group of UK MPs pushing for Crown Dependencies to make public company ownership information of island firms, the vice president of the Policy and Resources Committee says. Deputy Lyndon Trott made his comments following the postponement of a debate in the UK Parliament on the subject. The Financial Services Bill aims to force Crown Dependencies to make company ownership information of island firms public. The proposed rules were looking to enforce new tax transparency rules by the end of 2020. However its parliamentary debate was postponed on Monday. They added that their private registers of company ownership were adequate. 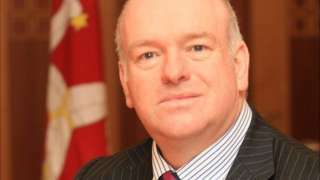 A Jersey deputy claims the States Employment Board is trying to undermine the decisions of the House over pay for civil servants. Deputy Geoff Southern is asking the States to make more money available for pay settlements. But he said in an email to unions, the board claimed that it would still have the final say over pay awards - regardless of any States decision. Members are due to debate his proposals later this month. Deputy Southern said it was beyond the pale to suggest that ministers should ignore the will of the House and he was asking the chief minister to assure islanders that he would abide by the will of the States. In response, a States spokesman said the Employment Bard was still responsible for negotiating and making pay offers, and had to take into account many different factors. Any decision by the States would not change its responsibility to balance those factors in the interests of the island, he added. Alderney and Herm have been selected for a pilot project to protect the British Isles from marine plastic pollution. The initiative, which is part of the Cold Water Islands Project. The campaign said all of the 10 island communities chosen, including Orkney, Lewis, Harris, and Skye, face unique challenges in respect to addressing so-called plastic pollution pathways. Jersey's States will spend £250,000 to set up an office in New York to develop the island's financial services sector. It is one of 11 projects that has been approved funding by Treasury Minister Susie Pinel. She has also approved spend £150,000 on looking at what to do next with Fort Regent and £80,000 will be put towards setting up a board that will see Jersey and Guernsey working together on spending projects. It will be breezy and rather cloudy with a few showers, especially in the morning and into the early afternoon. However, there could be occasional bright or sunny spells at times.